After completing three quilts in a relatively short period of time, I feel the need to take some time off from the sewing machine and pick up some much missed handwork. And the table topper quilt made from my "A Vintage Autumn" fabric collection. 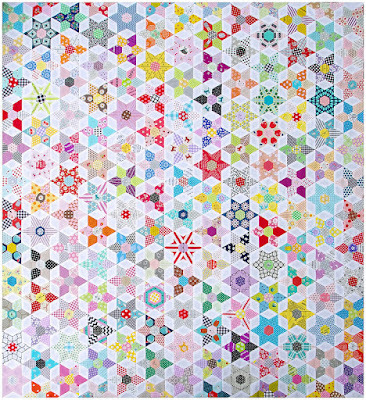 I fell in love with Rita Hodge's 'Daisy Chain Quilt' the first time I laid eyes on it. Rita's blog is called Red Pepper Quilts and just click HERE for the link. Be prepared to spend some time there because she is one of the most prolific and sharing quilters I've come across in a long time. Yesterday I went internet shopping for the supplies I'll need to get started on my version of Rita's "Daisy Chain Quilt" and will force myself to wait patiently till they arrive before embarking on the long journey. I've already made one EPP (English paper piecing) Grandmother's Flower Garden quilt and am sooooooo aware of the time and work involved. In the interim, I'll plod on with my Brinton Hall quilt. The center medallion is done and it's here where I'll start to divert from the original design and change up a few things. And what's under your needle today? i follow red pepper quilts and i agree...and your finishes are beautiful!can't wait to see more of brinton hall..oh, and send some of that canadian air south will you? So glad to see you blogging again! I've been worried about you. I hope you are feeling well! Your quilts are all just wonderful, but I'm partial to the schoolhouses. I just finished a big EPP star quilt top and brought my Brinton Hall out a couple of days ago. I'll deviate from the pattern, too. I enjoy your blog, but am bad about leaving comments. Your quilts are magnificent! And your Brinton Hall is out of this world!! 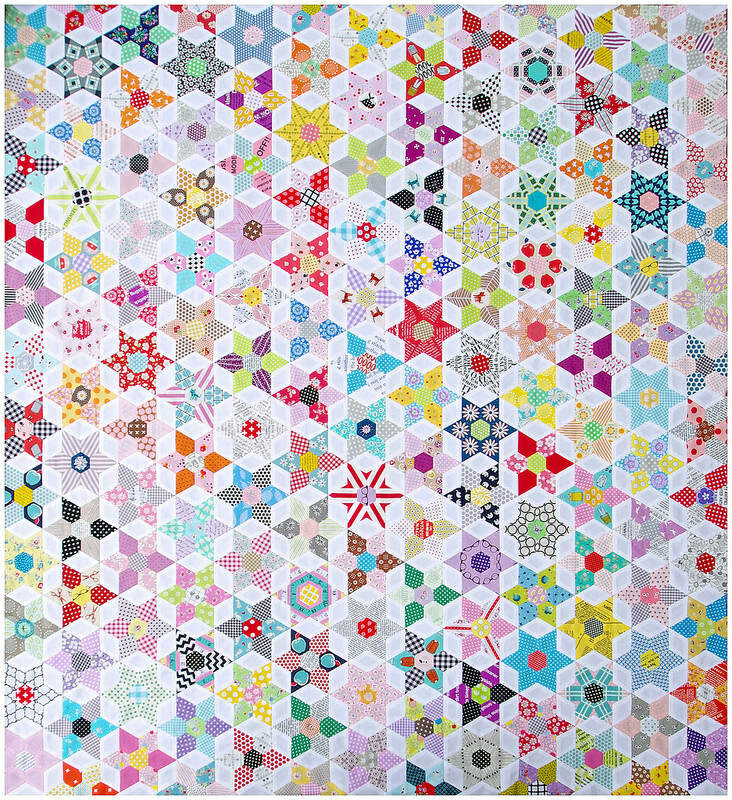 Your quilts are so lovely :) Paper piecing is one of my favorite things to do. It's something that I can do while watching TV with my hubby in the evening. You have some fabulous quilts here! I also love Rita's quilts and am making a version of her scrappy Irish chain. Love the one you've chosen to make. I follow Red Pepper Quilts religiously and recently finished her triple Irish chain. Currently I'm working on a Coastal Lily quilt. You can see it on the green Fairy blog. I love EPP but I recently came across a video from the Quilting Arts show with Pokey Bolton where they demonstrate how to make a hexagon from a circle - no paper involved. All hand work! When I showed the video to my Bee members everyone went crazy! Only one member had heard of this method! All your quilts are beautiful! Sometimes it is relaxing to hand stitch for a change. I am working on my Grandsons quilt " rail fence " ...and I am switching up the setting , so taking an extra bit of thought, but relaxing just the same. I LoVe the schoolhouse quilt. Maybe someday it will be under my needle... Have a great week. Glad you are feeling better now. I love these quilts you shared today. 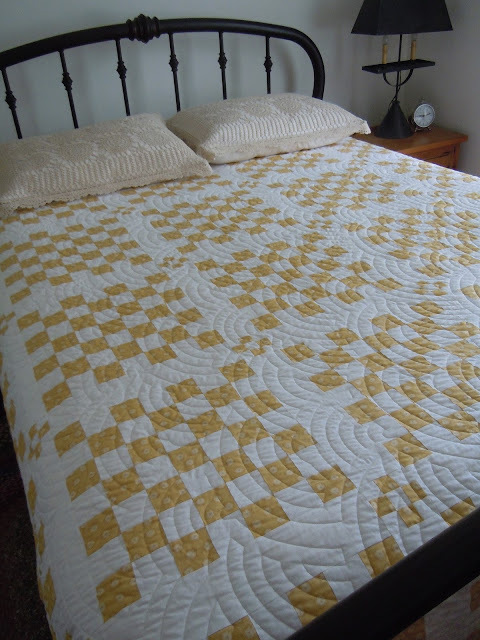 I've got a cream/cheddar ready to be quilted, but it's not this pattern. Today I have a keyboard under my fingers, writing patterns for quilts that are being shipped out today. Are you planning on using novelty type fabrics for fussy cutting the hexagon quilt or more subtle fabrics? Wow! A very good work and amazing quilts. Love them. Love your Brinton Hall quilt! 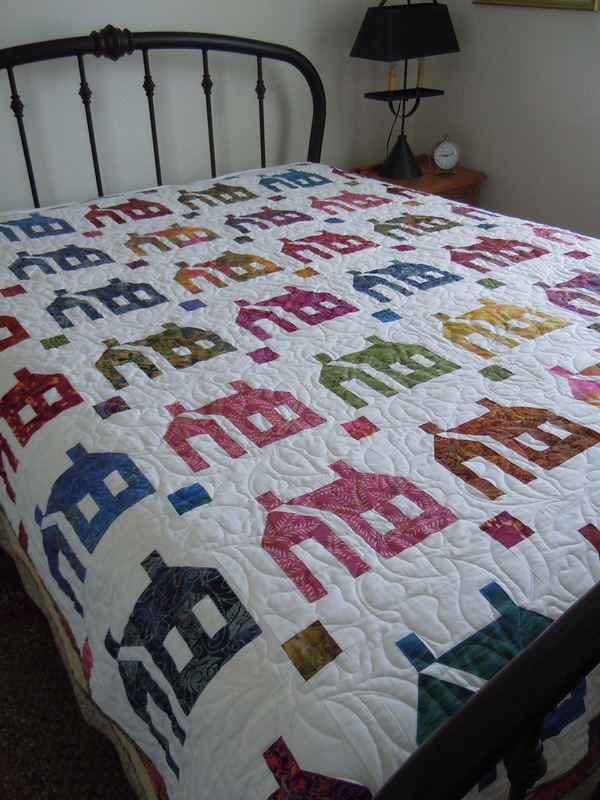 The House quilt is also a beauty! You have had three stellar finishes! How fun to have made something from your own fabric line. Love the color palette. I look forward to see the way you make your Brinton Hall quilt your own. Can I comment on the bed frame too?! Love it! I'm so happy that you are feeling super and having some awesome HUGE finishes!!! I agree, handstitching does seem like the right thing for summer! I am glad to see your Brinton Hall back in action. On to round two! Wow, you are an ambitious quilter, Kaaren. After setting Shiloh aside to make my Farmers wife quilt, I'm determined to get that done before I get started on your Vintage Autumn fabric. Hopefully I get some sewing time in my busy summer. Your quilts are beautiful, I wish I had such talent and motivation! I love them all, so lovely.